Located at the crossroads of Interstate 495 and Route 111, Boxborough is only a quick jaunt away from nearby Boston. But don’t let its ideal location fool you; this quiet Massachusetts town is anything but big-city. With a great school system, affordable housing, and historic charm that’s often missed in our fast-paced society, it’s the perfect place for families big or small. 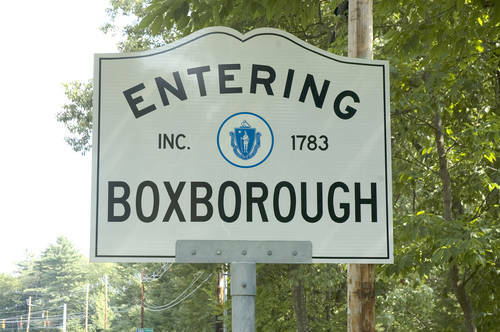 Often known simply as “Boxboro,” the Boxborough area wasn’t settled until the mid-1800s. At the time, the town was mostly comprised of farms, though a handful of mills and shoemaking factories cropped up later on. By the 1900s, Boxborough was rife with orchards, farms and other agricultural operations. It wasn’t until I-495 was built in the mid-1960s that these efforts began to decrease, making room for more commuters and residential growth throughout. Though Boxborough has continued to grow exponentially over the years, jumping from just 3,100 residents to nearly 5,000 today, it still retains much of its small-town, farm community feel. Residents can even stop by the Boxborough Museum to get a taste of the old days for themselves, or take part in the town’s annual Harvest Fair, which pays tribute to Boxborough’s agricultural past. But that’s not all Boxborough is known for. Whether you’re young, old or somewhere in between, this quaint town offers a little something for everyone. Fifer’s Day is the town’s biggest event, which takes place every June. Held in honor of Luther Blanchard, the renowned fifer who marched local minutemen to the Battle of Conchord, the celebration includes a parade, four-mile race, food, games, various sports tournaments, live music, pony rides, a flea market and more. Other attractions in the area include Steele Farm, which boasts sledding areas and dog-friendly walking trails, as well as Flerra Meadows, an outdoors complex complete with playgrounds, ponds, baseball fields, trails and more. The town also contains 14 conservation areas perfect for hiking, biking, running and other outdoor activities. If the local amenities weren’t enough, parents will love the top-notch educational opportunities Boxborough offers their children. A part of the Acton-Boxborough Regional School District, students attend Acton-Boxborough Regional High School, recently named the No. 3 school in the state by Boston Magazine. The district is also unique in its approach to primary schooling. Rather than assigning students schools by location, parents are allowed to choose their child’s school based on its educational and teaching philosophies. This fosters a tighter-knit community and more personalized learning for each student. A town teeming with opportunities, Boxborough offers a median home value of around $550,000, though properties can be found anywhere from the high $80,000s for a condo to $900,000 for a sprawling, 4,000-square-foot estate. Land in the area is easy to come by, too, so if building your home from the ground up is dream, Boxborough may well be the place. Quaint, quiet and charming, Boxborough might seem like just a blip on the map, but you’ll quickly see it offers much more than meets the eye. Come see for yourself.